Download HTC U11 Life Stock Wallpapers In Full HD Resolution: HTC has named its U series as its new flagship series. The first members of the U series are U11 smartphones. U11 smartphones have both premium as well as mid-range smartphones. For example, HTC U11 and HTC u11+ are the flagship smartphones of the company for the last year. In the mid-range segment, the company launched HTC U11 Life. There are two variants of HTC U11 Life available. One comes with HTC’s Sense UI and it is available in the US only. For Asian countries, it comes with Android One. The smartphone has two amazing stock wallpapers that you need to download on your smartphone to make its home screen look better. The smartphone comes with 5.2-inch Super LCD screen with the Full HD resolution of 1080 x 1920 pixels. The aspect ratio is 16:9 while the pixel density is 424 PPI. It has a plastic body and got IP67 certification. 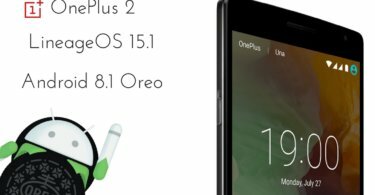 The best part about the smartphone is that it runs on Android 8.0 Oreo or Android One. It is powered by Qualcomm Snapdragon 630 octa-core 2.2 GHz Cortex-A53 CPU and Andreno 508 GPU. The RAM is 3 GB for the normal variant with 32 GB internal storage and the other variant has 4GB RAM and 64 GB internal storage. When it comes to cameras, the primary camera is 16 MP with f/2.0 aperture and LED flash while the front camera is the same 16 MP with f/2.0 aperture. All the sensors are available and the battery is its only weak point with the capacity of 2600mAh. How To Download HTC U11 Life Stock Wallpapers? HTC U11 smartphones have been received well by the smartphone users and the buyers of HTC U11 Life were pleasantly surprised when they unboxed the phone and set it up for the first time due to its stock wallpapers. 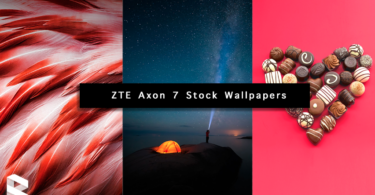 There are 2 stock wallpapers that are tailor-made for light and dark theme. The wallpapers have Full HD resolution of 1920 x 1080 pixels. They are compressed into a Zip file and the downloadable link is provided below. They have the aspect ratio of 16:9 and they will certainly make your home screen look premium. You can download the ZIP file directly on your smartphone and use a Zip extractor app to unzip it and apply on your home screen based on your theme shade.